A sleeker window line and large glass doors opening from the aft cockpit to the main saloon set a new standard among the 56m series – a feature to follow in the three second generation 56m’s. 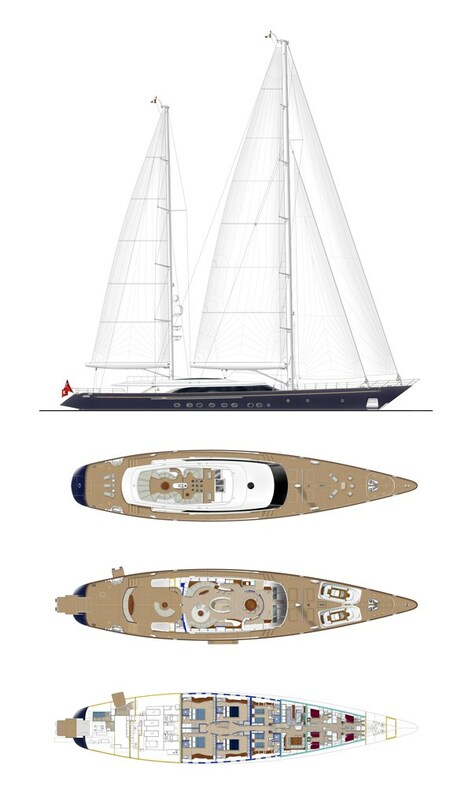 The hallmark Foster and Partners interior design completely set S/Y Panthalassa apart. Built without a master cabin, but with six symmetrical VIP suites for corporate as well as private use, and providing a fantastic platform for charter guests. A fusion of contemporary living and the finest nautical heritage, Panthalassa reflects an outstanding creative synthesis between Perini Navi and Foster & Partners. Natural daylight suffuses Panthalassa 's interior through the unique skylights that channel light from the sundeck and oversized portholes. Flexible multifunctional spaces offer a host of well conceived opportunities for social interaction or intimate gatherings.